The World Cup is so much more than soccer. For the host country, preparing for the event takes years. Roads need to be built, cell networks expanded, and stadiums remodeled. Often the countries best able to take advantage of the Cup’s economic boost are already developed—that is, they already possess the infrastructure to support the temporary influx of tourists and locals moving within the country. Media attention focuses on the myriad “failed” infrastructure projects that were scrapped or unfinished by the time the tournament began in earnest. What they don’t consider is that many of these delays were already accounted for, even expected. The Brazilian government embarked on an incredibly ambitious development plan for the Cup, and many of those projects were either completed after the Cup or are still in development, such as major airport renovations. But what could be considered a disappointment in terms of being ready for the event is really a long-term success story for the Brazilian economy. The Cup was a necessary catalyst for years of sustained infrastructure projects that may otherwise have never gained enough traction to get off the ground. That’s not to say Brazilians sat on their hands for years while the World Cup slowly approached—the country completed many massive projects, despite all the negative press to the contrary. Brazil saw the creation of rapid bus transit lines, roadways, light rail, and renovations of existing stadiums, ports and airports. Thousands of miles of highways were improved or expanded. And that says nothing of Brazil’s massive telecom expansion. Oi, the company responsible for the Cup’s WiFi upgrades, increased its number of WiFi hotspots tenfold to over 700,000 nationwide. 2G, 3G and 4G internet coverage was also widely improved in and around host cities, all on top of fiber optics upgrades and cell tower coverage. Besides the projects completed for the World Cup, FIFA pledged an additional $20 million towards legacy developments after the tournament ended. These improvements will continue to affect the Brazilian economy for years. Of course, tourism! I’m not talking about the temporary spike in visitors for the Cup, but the long-term increase. With the World Cup, we saw the growth of hotels, restaurants and shopping catered toward tourists. Some of those businesses have struggled in the absence of the World Cup surge, and others are doing just fine. One of the interesting developments after the event was a slight dent in the “centralization” of Brazil’s tourism industry. To foreigners, Brazil is just Rio—perhaps a handful of other cities, but mainly Rio. The Cup gave second-tier cities the ability to attract more tourists and the capacity to support them. I don’t expect Manaus to overtake Rio in as Brazil’s must-see tourist destination this year, but the Cup definitely helped spread the wealth to other cities and regions, expanding markets across the board. Besides the obvious benefit to tourism, the importance of English in our connected global marketplace is immeasurable. Prior to the Cup, English language skills weren’t a major priority for Brazilians, especially when you compare Brazil to a country like China. That’s all starting to change, due in no small part to the realities of hosting a major international sporting event. In preparation for the tournament, both online and in-person classes were offered to Brazilians in industries most likely to interact with foreigners, including everyone from high school students to cab drivers. Slowly but surely, information once available only in Portuguese is also being provided in English—from highway signs to malls. Brazilians are starting to pay attention to the economic benefits associated with learning English, and that’s good news for foreign companies looking to set up shop in Brazil. With the language barrier becoming smaller and smaller every day, one of the biggest obstacles to hiring local employees is now disappearing. Over a million jobs were created out of thin air in preparation for the World Cup, of which more than 700,000 are permanent. 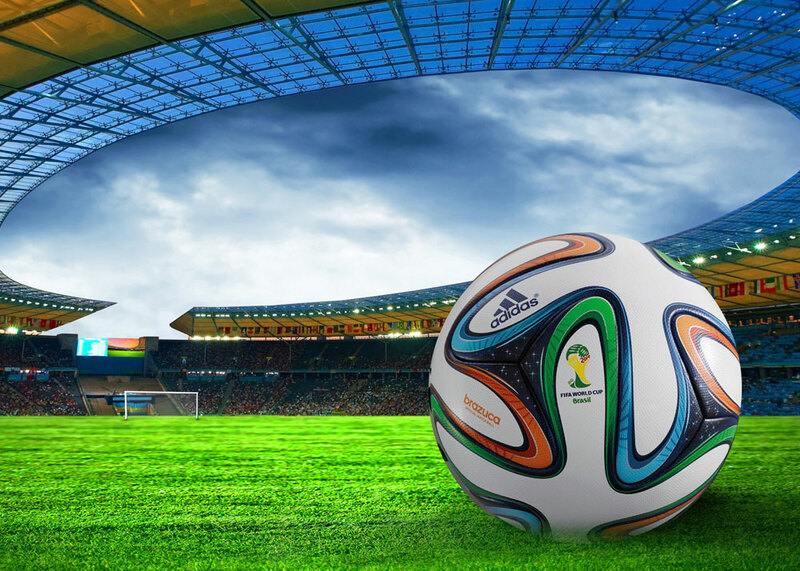 One of the benefits of the delayed construction projects planned prior to the World Cup is that the steady stream of new developments generates more sustainable job growth, as opposed to a spike in positions centered around the Cup. The major winner when it comes to job growth, of course, is construction. Tourism also received a direct boost to available jobs, for reasons I’ve outlined already. But the long-term effects go beyond projects directly related to the Cup. The World Cup did not exist in a vacuum separate from the rest of the Brazilian economy. Its effects will still be felt years from now, as the base established during the event creates jobs in ways impossible to predict today. Going beyond the utility of new highways and airports, we have to consider less tangible aftershocks of the World Cup. While the media’s microscope is focused on failed Cup venues being used as bus depots or hosting weddings instead of top-level soccer matches, those stories only reveal half of the truth. The reality of Brazil post-Cup isn’t quite so bleak. Several stadiums are being used by their respective cities’ biggest home teams, despite failures such as the venue in Amazonas, constructed hundreds of miles from Brazil’s most populated regions. The biggest cost to developing countries hosting mega-events like the World Cup or the Olympics is in constructing modern facilities to meet the event’s guidelines. Taken individually, stadiums paint a black and white picture of either success or failure. But Brazil is perpetually the country of the future, and the Rio Olympics are just around the corner. The biggest earner for stadiums isn’t the brief FIFA tournament, but their steady flow of professional soccer games in the weeks, months and years after the Cup ends. As Brazil builds a sturdy base of modern infrastructure and sporting venues, it stands a better chance at profiting from other international events in the long run. And that’s the problem with such premature dismissals of the World Cup as a Brazilian disaster—most investments take a while to pay off. Analysts point to South Africa’s difficulties following the 2010 World Cup as proof that hosting international sporting events is a net negative drain on the host country’s economy. But South Africa is certainly no Brazil, and it’s unfair to compare the two—economically or otherwise. The 2016 Olympics in Rio de Janeiro will provide more insight into whether Brazil will see massive long-term gains, or go the way of South Africa. Until then, my bet is on the former.